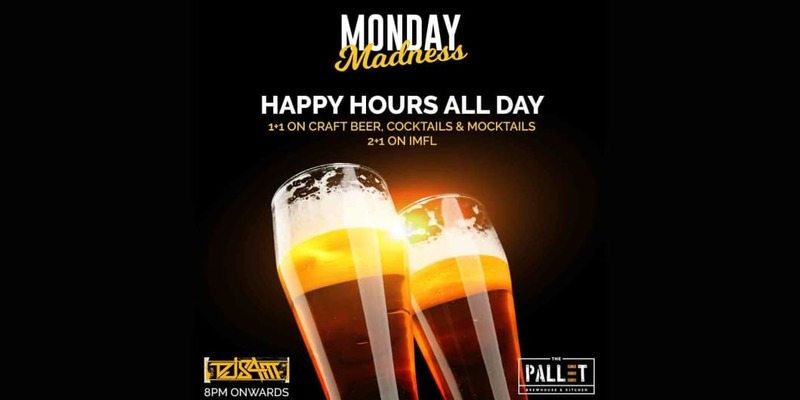 Extend you weekends with Monday Madness at Pallet. Dance to the tunes of DJ Sam on the hottest dance floor in Whitefield. To make it even better we have Happy Hours all day on all Mondays. Get 1+1 on craft beers, cocktails and mocktails. Get 2+1 on IMFL.